Three Climbing Panel Columns, Triple the Fun for Everyone! 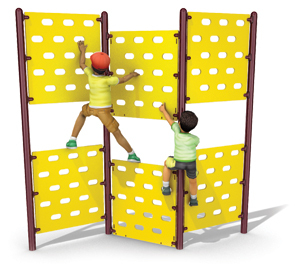 The Triple Panel Climber makes climbing at the park a fun activity for all kids. With three climbing panel columns, children have more room to climb up, down, and across the play component while imagining they're scaling a real mountain wall. Utilizing the hand and foot placement cutouts, children can practice their climbing skills while improving their hand-eye-foot coordination, balance, and strength. The 3/4" solid commercial grade plastic climbing panels are supported with either a 3-1/2" or 5" steel posts. The steel posts are made from 3.5" O.D. 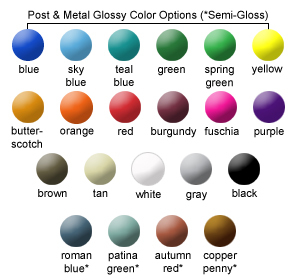 13 gauge galvanized steel that is powder-coated with a triple flo-coated corrosion protection for a superior, high gloss, no peel, no flake finish. Climbing panels and support posts are available in the color options shown.